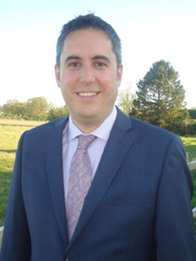 Matt has 14 years’ experience as a financial planning professional, providing bespoke advice and wealth management solutions to clients across East Anglia. Matt believes in building and maintaining long term relationships with his clients, giving them the time they need and deserve to fully understand their needs and aspirations. The key to building long term relationships is based on trust, regular financial reviews and the ability to explain things in a clear and concise way. He will meet with clients on a regular basis to ensure their plans remain suitable and to adapt them to meet any changing circumstances and objectives. Spending time with his clients and having the ability to provide unbiased financial advice along with access to the ‘best in the market’ solutions, allows Matt to offer clients a choice of services specifically designed to meet their needs and priorities. Matt is dedicated in delivering the highest level of service to clients and meeting their needs with a truly independent and thoughtful view gained from many years of practical experience and qualifications.